Built in 1913, this house was located on Broadway between W. 103rd Street and W. 104th Street. Most of its life was showing second and third run double bills. 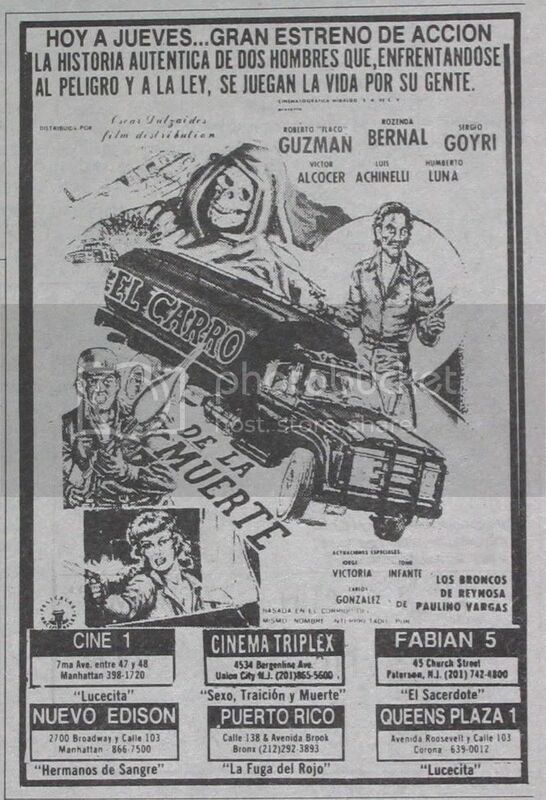 In the late-1960’s it went Spanish, sometimes English films with Spanish subtitles and eventually all Spanish language. 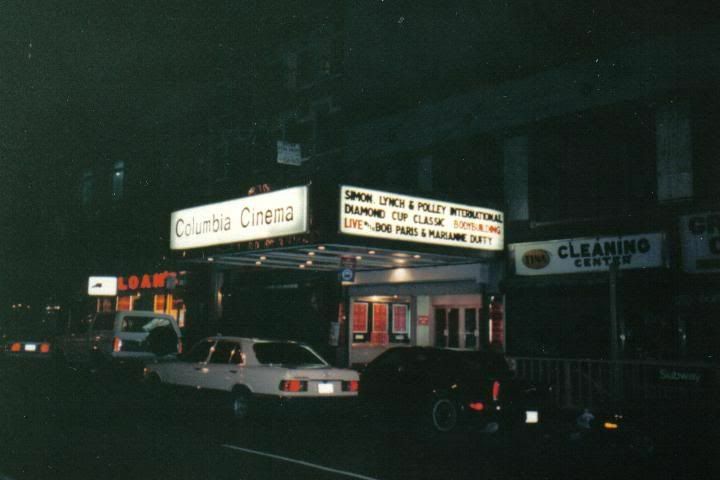 In 1988 it was sold and given a mild renovation and the name changed to the Columbia Cinema. With City Cinemas booking it, it opened “La Bamba” and then “Who Framed Roger Rabbit?” exclusive on the west side. City Cinemas ran it for two years at which time many of the newer multiplexes had opened and upper and lower west side could play day and date. The last two years it was a $3 discount house, and once in a while would get a first run engagement and charge full price. It closed in 1993 and became a Lucille Roberts gym. It has now been demolished. 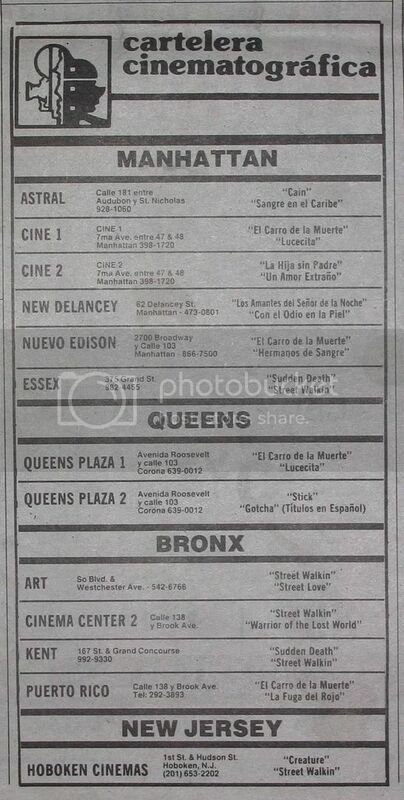 Both clippings list the theater as “Nuevo Edison”. Advertised as the Broadway Photoplay in 1919. 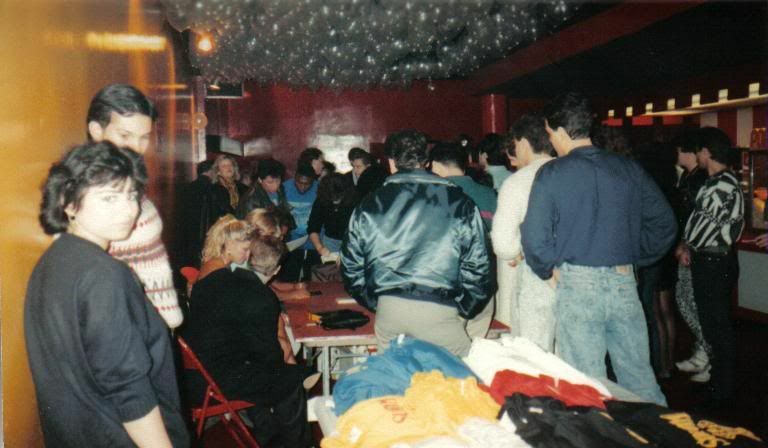 I finally dug out and scanned some pics of the Columbia from a night it hosted a live bodybuilding show. I have opening night of La Bamba pics which i will scan and post when I locate them. By the time that City Cinemas came on the scene it was too late to rescue this shabby theatre. Unlike its predecessor chain, Cinema 5, City Cinemas may not have had the inclination nor the resources to accomplish a substantial upgrade as Cineplex Odeon did when it acquired the Olympia. Even in its outer borough venues such as the Avenue U and the Tuxedo, Cinema 5 always ran a class act. Street View shows that the Edison Theatre/Columbia Cinema has been demolished, and a high rise project has been built on its site. Compare the photo Al Alvarez linked to earlier. I remember to going to see The Song of Bernadette (film)at this theater in the 1940s. The theater was just down from the Horn & Hardart Automat where my Mom worked. I knew this house as the Edison theater, which makes sense if it later became the Nuevo Edison. I remember the nearby Harn & Hardart with fondness. 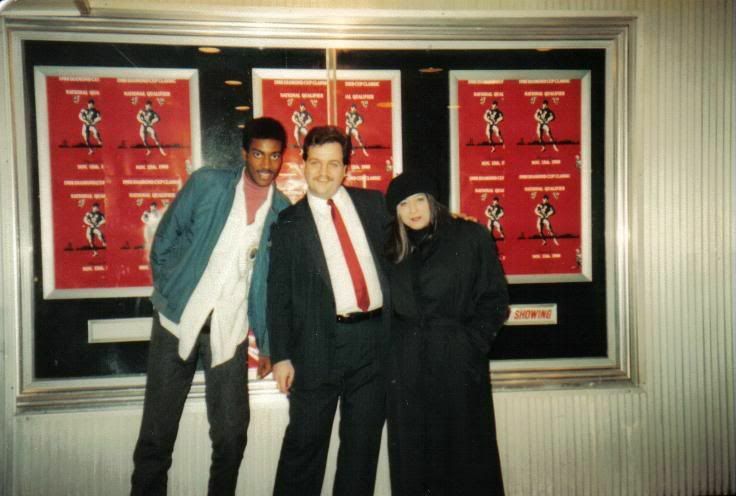 This was a favorite theater of mine when I was in college in the late 1980s. I saw this rare film here once called “Julia and Julia' that starred Kathleen Turner. For some reason it made an impression and I can remember sitting in this theater watching that film. The Edison can be seen in the 1968 movie “Madigan” where Richard Widmark and Harry Guardino encounter Don Stroud seeing “Tobruk” with Rock Hudson and George Peppard which was on the marquee. Exterior and interior shots are used and note the Milk (yes, Milk) vending machine. Concession stand is also seen.